art of the former Loretto Heights campus will be transformed into affordable housing. The developer of the area, Westside Investment Partners, Inc. announced this week that it will work with Hartman Ely Investments and Proximity Green of Denver to renovate the Pancratia Hall. 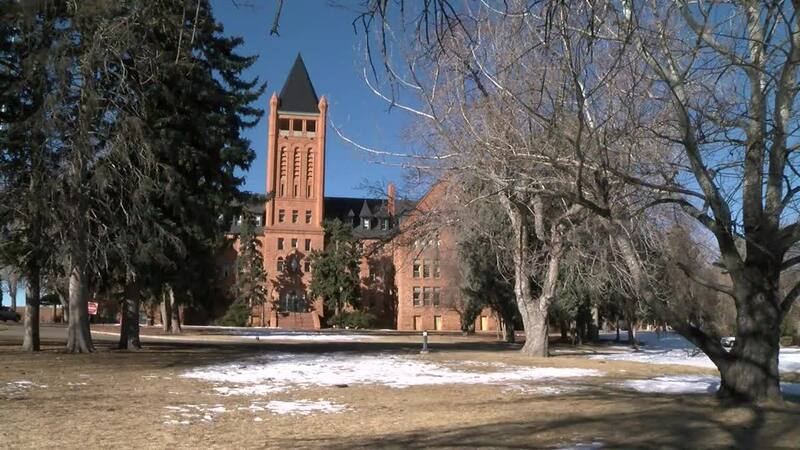 DENVER -- Part of the former Loretto Heights campus will be transformed into affordable housing. The developer of the area, Westside Investment Partners, Inc. announced this week that it will work with Hartman Ely Investments and Proximity Green of Denver to renovate the Pancratia Hall. The building, which was built in 1929, used to be home to the old dormitory and some classrooms for the school. In a news release, the developer said it will use some tax credits to help finance the building’s renovation. One of the issues the group will have to contend with is asbestos in the building, according to Councilman Kevin Flynn. Flynn has been working closely with both Westside Investment Partners and the community to determine the future of the area. He says the renovation not only saves a historic building from demolition, but it also fills a desperate need in the community. Flynn says many affordable housing units across the city are studio or one-bedroom apartments and aren’t big enough to accommodate low-income families. Pancratia Hall will feature more than 60, two to three-bedroom apartments. “A lot of working families have kids and they need affordable housing,” Flynn said. As for the rest of the 72-acre plot, it’s not quite clear what will happen quite yet. The old administration building and chapel will both be preserved , as will a cemetery where dozens of Sisters of Loretto who worked at the old school are buried. More than 230 people showed up to a community meeting in January to hear about the plans for the area and to give their input. “We want to make sure that it’s preserved in the future and that it’s a place that the community can go and appreciate and have that community feeling,” said Tara Durham. The Loretto Heights campus is right in her backyard and, at first, she was worried about the development. “I’m a history buff, I’m a Colorado native and so anytime that we hear anything that is going to be going on historically, I like to get involved,” Durham said. She now serves on the steering committee for the small area plan with the city and is the secretary of the local neighborhood organization. Durham says she was excited to hear that Pancratia Hall will stay and she’s looking forward to the rest of the redevelopment, even if it means losing some of the open space. “I would like to see it preserved but it’s going to be redeveloped and they’re going to incorporate the park and have some trails running through and keep that open space flowing,” she said. The city has an online survey up for people to weigh in on what they would like to see for the future of the area. However, the survey only runs through mid-February. Flynn says he’s also planning on holding several more community meetings in English and Spanish before a plan for the campus is finalized. The community can also weigh in at the steering committee meeting on the fourth Tuesday of every month from 6 p.m. to 8 p.m. at the Loretto Heights library. Otherwise, residents of the neighborhood adjacent to the property can attend its meetings on the third Thursday every month from 6:30 p.m. to 8 p.m. at All Saints Pariah Hall to hear more about the progress of the project.